Our main demand is that the Albanian Authorities ensure the implementation of articles 181 and 41 of the Constitution and restitute properties confiscated during the communist regime to rightful owners. Same standards should apply all over the country for the return of properties. Rightful owners in Tirana, on the Coast or in main economic areas enjoy the same rights as rightful owners in the mountains and the countryside! Stop corruption with properties belonging to rightful owners! Stop killings and vendettas for property issues which stem directly from non execution of constitutional obligations to return properties confiscated by the communist regime to their rightful owners! Property restitution has priority over any kind of legalization! Physical restitution of property has priority over any other compensation! Financial compensation (in case physical restitution is impossible) to be done according to market value! Create institutional capacities to solve the restitution problem! 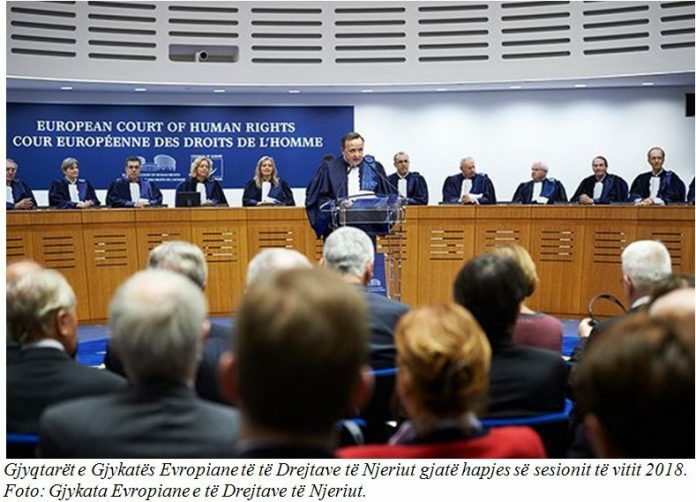 Fulfill requirements of the European Court of Human Rights (pilot judgment of July 2012) and preconditions to the European integration! Any strategy that does not deal with these basic but very important requirements and does not solve them, only aims at justifying and “legalizing” theft of property and corruption in handling property rights. The above mentioned requests of rightful owners refer to properties confiscated by the communist regime after 1945. The recognition of their property rights was part of international engagements of the new democratic Albanian State and took actually place at the beginning of the ’90s already (law 7698 of 1993 amended by law 9235 of 2004 and the new Constitution of 1998). However, for many rightful owners their property right is an empty word as long as they cannot recover possession of their property. Indeed, their properties have been and continue to be abused, especially those situated in touristic areas and near important economic centers. The abuses are regularly made and/or supported by state representatives who consider this problem as a mean of personal enrichment. Corruption with properties provokes serious social pleas: more than 6’000 killings and vendettas have been reported which directly relate to this problem. The respect of the right to private property is one of the cornerstones of a democratic state. As long as this problem is not resolved, as long as widespread corruption in handling property rights is not eliminated, Albania cannot become the true democracy its people would like it to be. Defending property rights is defending our identity, is fighting corruption, is helping towards implementation of the Rule of Law and towards European integration. sign our Petition: Return properties confiscated by communist regime, now!